So very oddly it seems that the docomo carrier bundle will not install on the iphone 5. The APN settings are all in the carrier bundle. On an unlocked phone you can change them based on your carrier bundle that matches. I have put the iphone sim in my unlocked iphone 5 expecting for it to work like the Softbank LTE sim does, but no dice. It performs exactly as my standard XI sim does. No idea what's up with iPhone 5, but I get 4G on my Lumia 920 without a problem, on Docomo's Xi. I used to run an iPhone 4 (black) SIM inside an unlocked Android phone, without a problem. (cross question from a related thread) Does this mean that voice will work when using the mopera.net APN with and Xi SIM, or just data? Has anyone used this ??? Can confirm an unlocked Australian iPhone 5S can connect to Docomo LTE network. Unlocked Australian iPhone 5 will still not connect to Docomo LTE network even when using same sim as for 5S above. 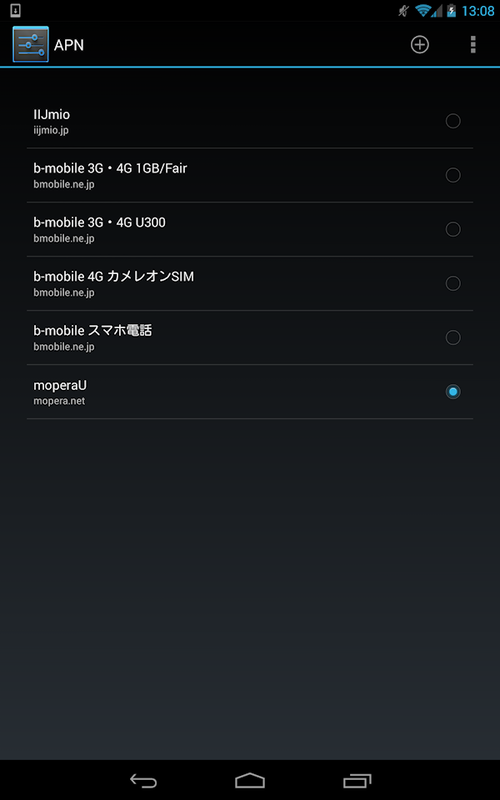 Update - at first the unlocked 5S connected on the Docomo mopera.net including LTE but then after a few hours, the LTE dropped off and so did the connection as a whole - APN setting option had dissappeared. Then had to use the apn file on a previous article which has provided connection again back to mopera.net but not at LTE service side - standard 3G only.